A few years ago, I attended the Festival de la Lectura Chacao for the first time. I’m happy to say that its 2015 iteration is still quite enjoyable. 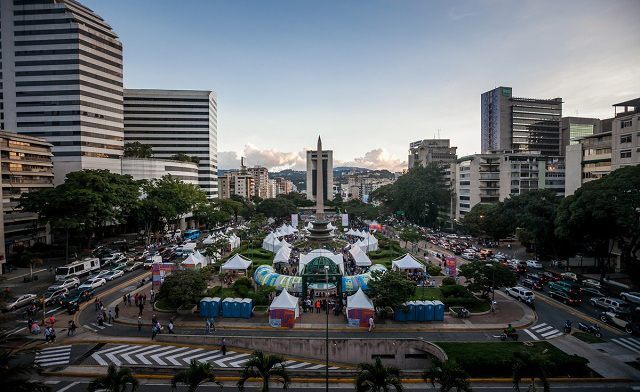 For eleven days, the festival is set up in the Altamira Plaza in Caracas. Tents are set up by different publishing houses to hawk their wares, and various events (talks, training sessions, signings, etc.) are hosted to celebrate critical thinking and promote culture in public spaces. I bought some old literary magazines, and many books by prominent Venezuelan literary figures. Our country might be sinking under the yolk of mismanagement and political corruption, but the light of literature has not yet been snuffed out. This entry was posted in Current Events, Literature and tagged Festival de la Lectura Chacao. Bookmark the permalink.